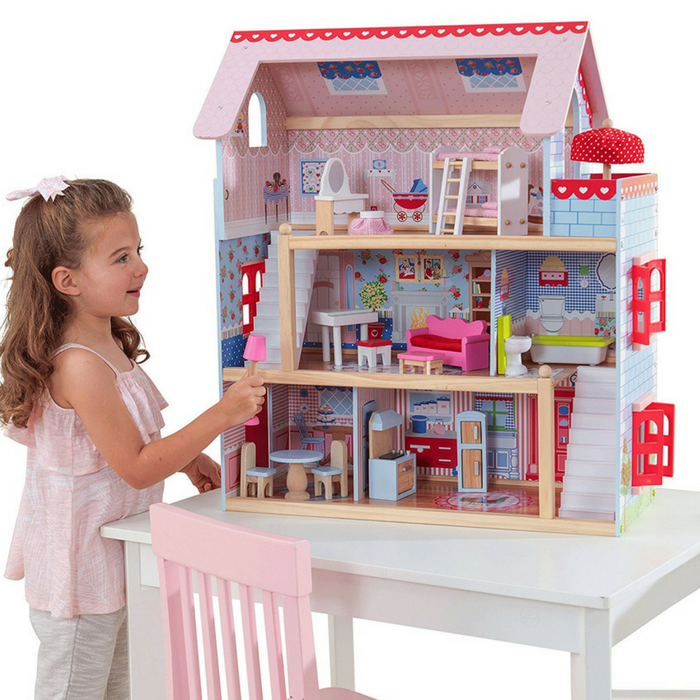 KidKraft Chelsea Dollhouse Just $51.84! Down From $130! PLUS FREE Shipping! You are here: Home / Great Deals / Amazon Deals / KidKraft Chelsea Dollhouse Just $51.84! Down From $130! PLUS FREE Shipping! Make your kids happy with this KidKraft Chelsea Dollhouse which you can get at Amazon for just $51.84 regularly $130 PLUS FREE shipping! This Chelsea Doll Cottage is perfect for any young girl with a wild imagination. This adorable dollhouse comes with a whopping 17 pieces of furniture and would make a great gift for any occasion. Two molded plastic staircases. Three levels of open space 17 pieces of furniture. Windows that open and close Large enough that multiple children can play at once. Your girls would love it! This adorable dollhouse comes with a whopping 17 pieces of furniture and would make a great gift for any occasion.